Mambo Jambo is the reet music night hosted by our pal DJ Rata, held on the third Saturday of the month at Otto’s Shrunken Head. On December 16, his guest DJ was Phast Phreddie the Boogaloo Omnibus. With two nights at this tiki bar in four days (The Copycat Cover Song Night Tribute to Frank Zappa was a few nights earlier), one would assume that Phast Phreddie owns the club now! Rest assured, he does not. Phast Phreddie the Boogaloo Omnibus and DJ Rata swing at Mambo Jambo! Let us stop fooling with particulars and get to the real reason people read the Boogaloo Bag… Nancy “Jeannie” Gardner made some yummy molasses cookies and distributed them accordingly! Man, they were good, and everyone said so. DJ Rata digs wild music. When he swings, he swings with magnificent mambos and ribald R&B music. So for this occasion, The Phast Man played much of the same–mostly. Rata spins a cumbia at Mambo Jambo! None of these records are for sale. Some of them have links to the youtubes in order for the reader to dig for his or her self. 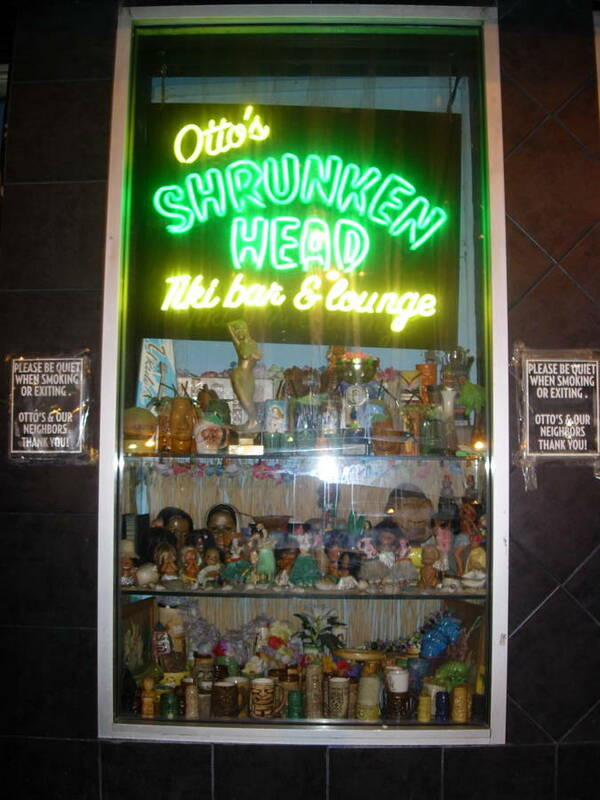 The holiday scene at Otto’s Shrunken Head!